+1: Look at the top two card of your library. 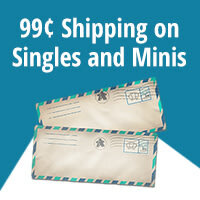 Put one of them into your hand and the other into your graveyard. 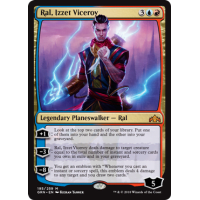 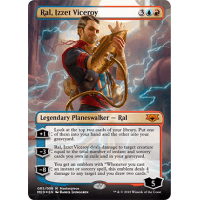 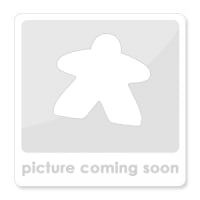 -3: Ral, Izzet Viceroy deals damage to target creature equal to the total number of instant and sorcery cards you ownin exile and in your graveyard.